Weymouth is an evolving community along the south shore of the Boston metropolitan area. Although the town’s land area is completely developed, it is constantly trying to find new uses for its sites. Industrial areas have been transformed for non-industrial use, including office complexes and parks. Its continuous evolution and its proximity to Boston attract businesses as well as new residents to Weymouth. If you have a an issue related to a parcel of property there, the real estate lawyers at Pulgini & Norton can help you navigate the complexities that may arise. We have more than four decades of combined experience representing homeowners, buyers, sellers, and lenders in a variety of transactions. If you are buying or selling a house or condominium, you will need to protect your interests while simultaneously addressing any impediments to closing the transaction. Each party will have to identify possible pitfalls to the purchase or sale and take steps to address those issues. The two documents that a buyer and seller need to negotiate are the offer to purchase and the purchase and sale agreement. The offer to purchase is where the buyer makes a formal proposal to the seller to buy the property. The document contains basic terms, such as the proposed purchase price, the property location, the deposit amounts, and the date by which the parties must execute the purchase and sale agreement. However, the offer also includes provisions that can affect whether the transaction ultimately moves forward. The home inspection clause, for instance, allows the buyer to examine the property. The parties will negotiate the extent of the buyer’s inspection rights and the circumstances under which the buyer may rescind its offer. Although the offer to purchase is typically a standard form, it is a legally binding document. Each party should have it reviewed to add language or riders that address its concerns. The purchase and sale agreement is a longer, more detailed document that lays out the rights and obligations of the parties. The buyer and seller must fulfill their respective obligations under the agreement to successfully consummate the transaction. For example, the buyer will need to secure financing in accordance with the terms in the mortgage contingency clause. The seller will need to clear up any issues that could affect its ability to transfer “clear and marketable” title to the property, such as liens. The closing is where the property is transferred from the seller to the buyer. The closing attorney will verify that there are no issues related to title. The seller’s attorney will typically draft the deed, which is the document that transfers the property to the buyer. Funds are also distributed to the appropriate parties. Massachusetts law requires that a lawyer oversee the closing. We can represent and assist you through the purchase and sale of Weymouth property. Weymouth is divided into districts, or zones, that are designated for particular uses, such as residential, industrial, and business. The town’s zoning ordinance specifies the ways in which property can be used in these zones. A property owner can use or change his or her property in any way that complies with the ordinance. Some uses, however, require approval from the town’s planning board or the board of zoning appeals. A special permit, for instance, is required to alter the gross floor area in certain residential districts. If the change or use does not fall within the requirements for a special permit, the property owner will need a variance. We counsel property owners on zoning matters and take them through the process of obtaining the necessary permits or variances. At Pulgini & Norton, we advise and represent clients from Weymouth and the surrounding areas in a variety of matters. Our property transactions attorneys are skilled negotiators and drafters who can help you through the purchase or sale of a home. If you plan on making changes to your property, we can counsel you on whether you need municipal approval before moving forward and help you through the approval process if you do. 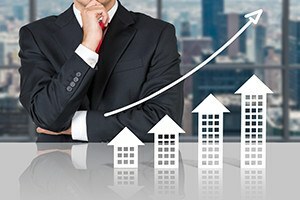 We assist clients on real estate tax issues, financing, and other related matters. For a consultation, give us a call today at 781-843-2200. You can also contact us online.